In worship, we open ourselves to an encounter with God through word and sacrament, prayer and song. We bring the busy-ness of the week that has passed and seek strength for the week that is to come, grounding ourselves in the Good News of God in Christ. We commit ourselves to following Jesus in loving service to God’s world. And we surround ourselves with fellow travellers because we can’t do it alone! The main service of the week is at 10am on Sunday mornings. This service is friendly and relaxed, welcoming people of all ages and backgrounds to participate. Drawing on the Anglican tradition but open to experimentation, we use modern, inclusive language that is both clear and beautiful. The Eucharist is celebrated every week; we use home-baked bread (gluten-free is available), wine, and grape juice. 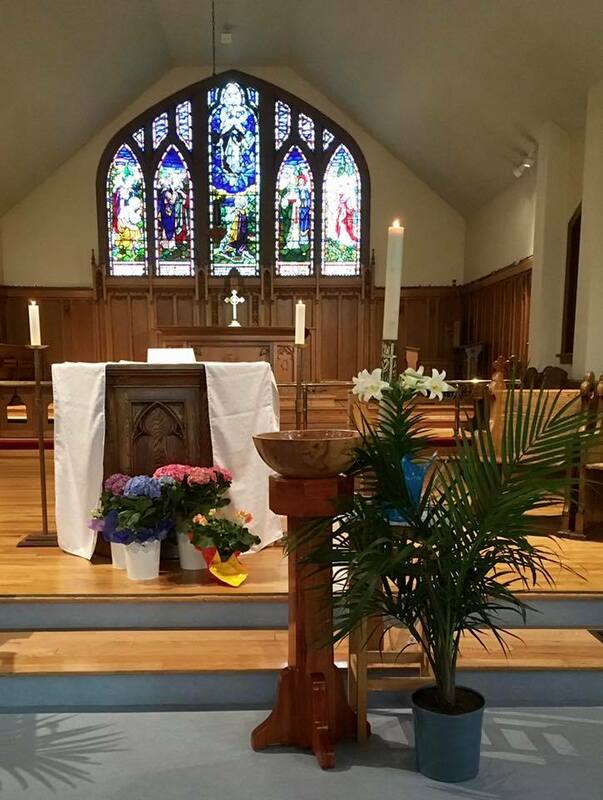 Most Sundays, our services follow a typical pattern and include a traditional sermon. Sometimes, however, we try out other ways of responding to God’s word. We might gather in small groups for short, focused conversations or enter into a longer period of silence or even experiment with arts and crafts. It is important to stay flexible and open to the many ways the Spirit might speak to us! Children are always welcome in the service, either in the pews or at the colouring table at the front of the church. Noisy and wiggly children are every bit as welcome as quiet ones! 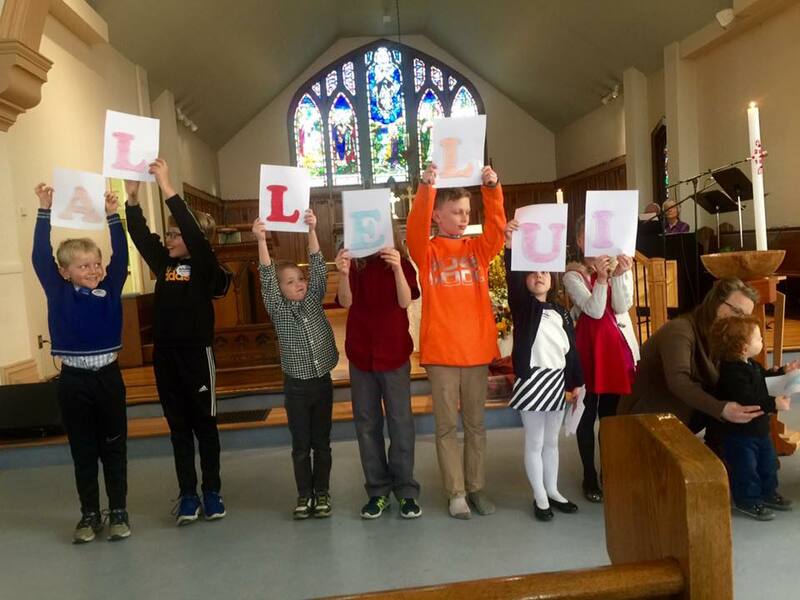 Children in pre-school/elementary school are also welcome to participate in Sunday school, downstairs in the hall. We do not “pass” the offering plate during the service. To make a donation supporting the ministries of Ascension, please place your offering in the plate provided in the back of the church or make your donation via the website or PAR. Everyone is invited to coffee hour after the service. 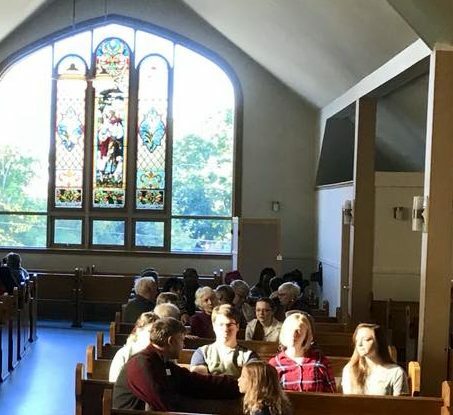 This informal communion service takes place around a table in the church hall and includes a time of contemplation on the Bible reading (known as lectio divina). Coffee and further bible study follow the service.